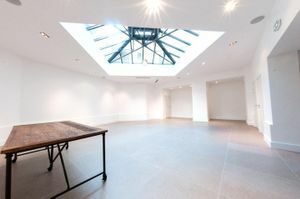 This exceptional, two-storey 350 sq m space near Invalides is the perfect balance of Parisian chic perfection and modernity and ideal for Showrooms, Product Launches, Private Sales, Events, Photoshoots, Exhibitions, Press Conferences. 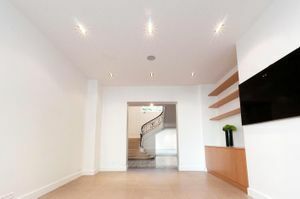 A beautiful entrance overlooking the street is welcoming and guests are met by a lovely room with tiled floors in soft beige tones, white walls, elegant wooden shelves, and spotlights. 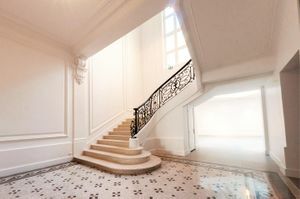 Thereafter a magnificent staircase leads to marble floors two exceptional spaces – one of Haussmannian styling with Dutch parquet floors, brilliant sunlight, moldings, fireplace, and large windows, and another room while the other boasts a splendid canopy. 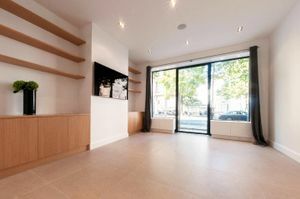 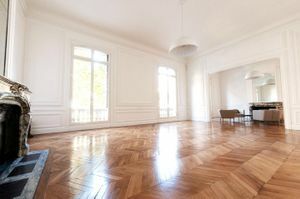 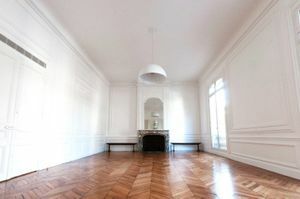 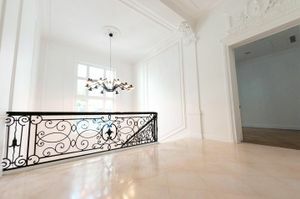 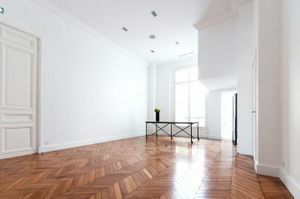 Superbly located in the prime area of Invalides, close to Rue Saint-Dominique, and a stone's throw from the Eiffel Tower, this is space is highly sought after in a historic and iconic setting.